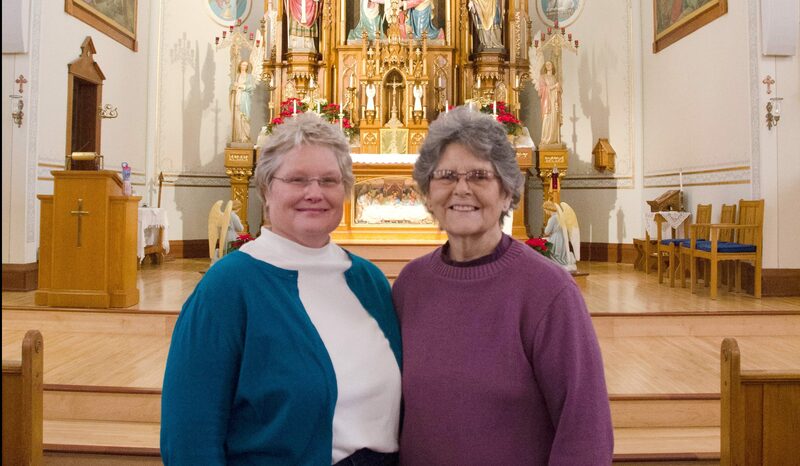 Geralyn Klinkner (Left) and Marlene Flock standing in front of the main altar. The first parishioners of the Nativity of the Blessed Virgin Mary Parish, St. Mary’s Ridge, brought a strong faith to this community up on the ridge between Norwalk and Cashton when they arrived from Stommeln, Germany in October 1856. For parishioners Marlene Flock and Geralyn Klinkner, the love and dedication the first settlers had for their Catholic faith is inspirational. Before being assigned a permanent priest in 1866, Catholic families from St. Mary’s Ridge walked 35 miles to La Crosse to celebrate the sacraments at Easter. 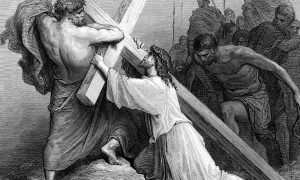 “That’s how strong their faith was, that they would walk that far,” says Marlene. Only two years after coming to the U.S., the German settlers built a church – the first Catholic church in Monroe County. The 20 x 30-foot log church was erected in 1858 on land donated by Caspar Shieffer and cost $96.04. Although it would be 12 years before Father S. Florentine would arrive to helm the church, the first Catholic Mass was said by Father Henry Tappert who traveled by train from La Crosse to Sparta and then made his way to St. Mary’s Ridge by an ox-drawn cart. 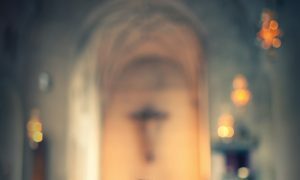 A long-time parishioner, Marlene goes through the history of the parish’s three church buildings and marvels at the pride the parishioners then took in creating a holy and beautiful worship space for God. 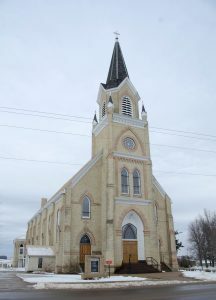 The second, larger church was built in 1869 to accommodate growing families. The 40 x 80-foot wooden structure cost $3,200 and was dedicated in the fall of 1869 by Bishop Michael Heiss of La Crosse. The bells, which continue to ring out today, were donated by the Shieffer and Hemmersbach families. The church where Marlene and Geralyn raised their families and continue to worship every Sunday was built in 1897 at a cost of $15,000. Parishioners mortgaged their homes and farms to raise the money necessary to build the church. “I think that’s a commitment you don’t see nowadays,” Geralyn says. 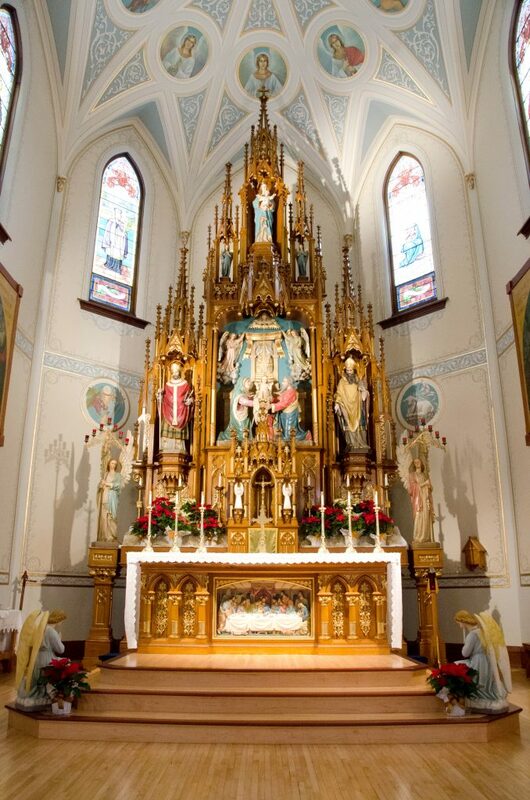 The hand-carved altars by Egid Hackner of La Crosse cost $1,800 and were installed in 1902. They are a hallmark feature of the church, featuring the Nativity of the Blessed Virgin Mary in the center, with St. Boniface on the right and St. Patrick on the left, the patron saints of Germany and Ireland, respectively. “They are gorgeous altars,” says Geralyn. The early 20th century Catholic Church in the U.S. saw huge growth, and St. Mary’s Ridge was no exception. Saint Mary’s parishioners helped to fund the building of St. Peter and Paul’s Catholic Church in Pine Hollow five miles from St. Mary’s toward Cashton. The bishop of La Crosse assigned families to Pine Hollow according to where they lived. The church was torn down in the 1960s with the families returning to St. Mary’s or joining Sacred Heart in Cashton. 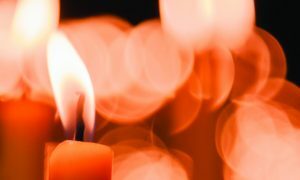 St. Mary’s Ridge had a dynamic and beloved school where generations of families were educated in the faith. The first school was a log schoolhouse that was both a parochial and public school. The second school was built in 1889 and added onto in 1912, the third two-story four-room brick school was built and blessed by Bishop Alexander McGavick in 1923. Franciscan Sisters educated St. Mary’s Ridge children until they left in the 1970s, replaced by lay teachers. One of the lay teachers was a descendant of the early Irish settlers. Margaret Sullivan Laufenberg taught first and second grades and was principal. She was one of the school’s biggest supporters, until it closed in 2007. Marlene made her First Communion at St. Peter and Paul in Pine Hollow and her parents are buried in the Pine Hollow Cemetery. She married her husband, Joe, in September 1956. Joe was raised in St. Mary’s Ridge and received all his sacraments in the parish. Geralyn’s husband is a descendant of the original settlers, whose family was assigned to St. Peter and Paul. When St. Peter and Paul closed, the Klinkner family returned to St. Mary’s Ridge. Geralyn joined the parish when the couple married in 1983. They raised their three children in the parish.